Leasing a smart-phone is a worthwhile choice if you don’t have $800 to spend on the latest mobile phone. It is way easier to lease a mobile phone which you can later pay it off or trade it in for a newer or latest version. It is also a good option for you if you are looking for bad credit iPhone financing, as there are cell phone companies that offer lease cell phone no credit check plans. In this article, we are going to look at the top 10 lease cell phones that need no credit checks, their features and what makes them great. But before we do that, we will first start by looking at what lease cell phone no credit check means and how it works. We will also look at some of the iPhone financing, no credit check programs. Lease cell phone no credit check, what does it mean? Leasing a mobile phone is just like leasing a car. With this plan, you can hire or lease a mobile phone for subsidized monthly repayments. At the end of the leasing period, you will be required to return the phone or you may also opt to upgrade to the latest and better model. Some carriers don’t perform a credit check for this kind of arrangements and hence the term ‘no credits check’. Why should you consider lease cell phone no credit check? 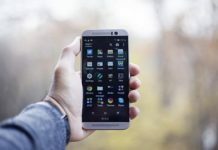 On the face value, it may appear that the main reason why people opt to lease their mobile phones instead of directly purchasing or fully paying for them is that they want new and sleek phones. Well, that could be one of the reasons, but it is also more about how one uses his/her phone and how efficient that phone will continue to serve him in the near future. To others, a phone has little or no value at all after a couple of years and therefore, trading in makes a lot of sense (financial wise at least). There is also a lot more about owning the latest model of mobile phone than just technology envy and bragging rights. 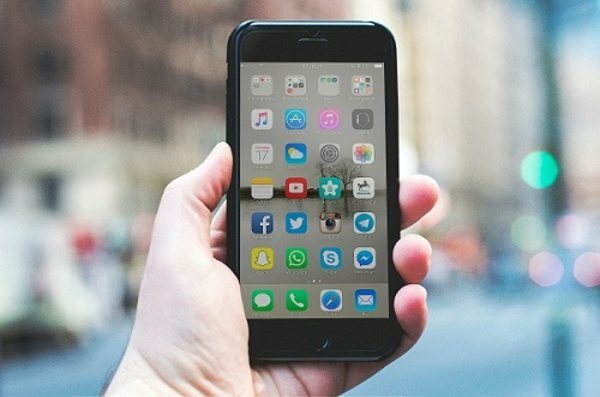 You see, smartphones are fast becoming a necessity in today’s modern world and as this happens, hackers are also striving to find ways to hack them. Fortunately, companies such as Apple and Google are swift in preventing this kind of issues with the regular software updates. Therefore, if you hold on to an old phone, you may not receive the updates which make you susceptible to the avid hackers. Additionally, Cell phone leasing with no credit check plans is also one of the best and economical ways to acquire a phone particularly if you have a bad credit. With this type of plan, you don’t need to worry about things like your credit score or credit history. It should be noted however that not all network providers offer to lease with no credit check and therefore you will probably need to do some research on bad credit iPhone financing. In terms of its financial aspects, Phone leasing is arguably more affordable as compared to phone contracts. One attractive feature of cell phone leasing that is making people consider it, is the extra data and the other perks and discounts that usually forms part of the plan. iPhone upgrade program is the best one for you if you are looking to move to the latest iPhone model. Apple has a good monthly payment program that can allow you to transit from an old model to a new one without much hassle and at an affordable rate. The calculation formula is basically the iPhone retail cost added to the cost of insurance for damages which is then shared equally over a duration period of 24 months. The overall cost varies between 99 to 149 USD, depending on the type or model of the mobile phone. Trade in is another option under the iPhone financing no credit check plans. With this program, you can take your old iPhone to the apple store where you can trade it in for cash which you can then top-up and buy a new one. For instance, the trade in cost for iPhone 6 is approximately 145 USD, iPhone 6S goes for 200 USD. Trading in an iPhone 7 can get you an around $325. iPhone 7 plus is one of the top rated iPhone on the market. It features a 12MP camera with high-resolution zoom, iOS 10 and iCloud and a splash water and dust resistant surface. In terms of appearance iPhone 7 plus has a stunning exterior interface that is characterized by some bright and exciting display. It uses similar color spaces like that of the cinema industry. Another interesting thing about this phone is its powerful chip which not only makes it faster as compared to another smartphone, but it is also more effective. The A10 fusion chip utilizes its brilliant architecture to improve its processing speed while using less power. Other features include; a 3d touch, 7MP face time camera among others. Samsung Galaxy S8+ is another phone that is being offered by some of the cell phone network providers under their leasing programs. It boasts of 1.9-GHz octa-core processor and a 4GB RAM. In terms of appearance, it has a 6.20 touchscreen with a 2960 pixel x 1440 pixel resolution. Sony Xperia XZ is another top-rated smartphone under the leasing plans of most companies such as T-Mobile, Optus, Telstra etc. It boasts of a 5.2-inch display with a resolution of 1920 pixel by 1080 pixel. It is driven by a 1.6 GHz quad-core processor. In addition, it has a3GB RAM and an internal storage capacity of 64 GB. It also has a micro SD card slot that gives an expanded storage of 200GB. It cameras comprise a 13MP front camera and a 23MP exterior camera. Other key features include a 2900mAh built-in battery, proximity sensor, ambient light sensor among others. Its dimension is 146 mm by 72 mm wide and 8.1mm thick. Google pixel has a dimension of 143.8mm by 69.5mm by 8.5mm and a weight of 143 grams. It also features an AMOLED touchscreen with a 16M colours giving it a smooth and impressive display. Moreover, Google Pixel has an Android 7.1 (nougat) operating system that can be upgraded to Android 9 (pie). Its CPU is quad core and has a32GB internal memory, 128 expanded memory and a 4GB RAM. This makes it relatively faster as compared to other phones. It also has a pretty impressive single camera of 12.3MP and LAN, Bluetooth, GPS, NFC connectivity. Other features include a non-removable 270 mAh battery, fingerprint, accelerometer, barometer and compass sensors among others. LG G6 is a sleek and classy phone that is characterized by a 5.7-inch colour display and has a slim appearance that is big enough to fit in your palms. If you are looking for style, efficiency and class then this is the phone for you. It packs a 5MP front camera and 13MP dual rear camera that comprises of a sensor on both normal and wide angles. It is dust and water resistant and contains a class cover just like S8. Although it lacks the powerful Snapdragon 835 processor, it still demonstrates an impressive processing speed. Other features include; back fingerprint sensor, Hi-Fi audio recorder, and android beam for sharing web pages, contacts etc. quickMemo and calling plus. Samsung Galaxy S8 is an exceptional device. It is sleek, fast and integrates modern technology to create an attractive display and magnificent super performance. One of its outstanding features is the 5.8-inch Quad HD coupled with super AMOLED display. It is the first phone with an infinity screen that has an edge to edge stretch giving you a maximum screen in a minimal space. Its super AMOLED feature helps to create an excellent amount of colour clarity. Furthermore, it also packs an octa-core processor with a 1.9 GHz plus 2.3 GHz processing speed that helps to open apps faster while utilizing little battery power. When it comes to the camera, this phone boasts of the 8MP front camera as well as a 12MP dual pixel hind camera. This is quite useful when you are taking photos in a poorly lit room. iPhone 7 has an incredible battery life, a 12MP camera coupled with a 4K optical and video stabilizer, three A10 fusion chip that is instrumental for its super performance, a 4.7” retina display that comprises of a 3D touch and a wide colour range. It is also dust and water resistant and has one of the highly advanced mobile phone operating system in iOS 12. It measures 5.44 inch by 2.64” by 0.28” and weighs approximately 4.8Oz. The price of iPhone 7 can be quite high ($600 to $700) but with iPhone financing no credit check programs, acquiring this device has been made a lot more affordable. Google Pixel XL is another modern, classy and highly resourceful smartphone. It has an outlook that is almost a similar as iPhone 6 plus. Its rear cover is made of some magnificent aluminium material just like Apple iPhones. Its body is made of partial glass back, aluminium and front glass. It measures 154.7 by 75.7 by 8.5 mm and has a weight of roughly 168g. Its display comprises of an AMOLED touchscreen with 16M colours and a resolution of 1440 pixel by 2560 pixel. The operating system is a 7.1 android system. It can be used with a nano SIM and can work with 4G networks. Additionally, it has 12.3MP and 8MP front and rear camera respectively. Other features include a 3450 mAh battery that offers a maximum of 552 standby time and 32 minutes talk time. It has an MP4 player, headphone port, fingerprint scanner and a fast charge technology. Samsung S9 comprises of a reimagined camera that has been designed to adapt with the human eye. This enables it to capture crystal-clear images in both dim and bright light environment. It also contains some fun and exciting features such as intelligent face recognition, real-time translation and hassles free screen sharing. It also features 5.8’ edge to edge screen, dual aperture camera and Dolby Atmos stereo speakers. Its camera boasts of 8MP and 12MP front and back resolutions. It has a 4GB RAM and an Android 8.0 operating system. In conclusion, there are several bad credit iPhone financing strategies and all have their strengths and weaknesses. It is therefore wise to carefully select one that is best suited to your financial needs. Leasing phone is one of the iPhone financing strategies that can be affordable when compared to other plans e.g. cell phone contracts. How well it suits you is dependent on how you view expensive phone and how you use it.